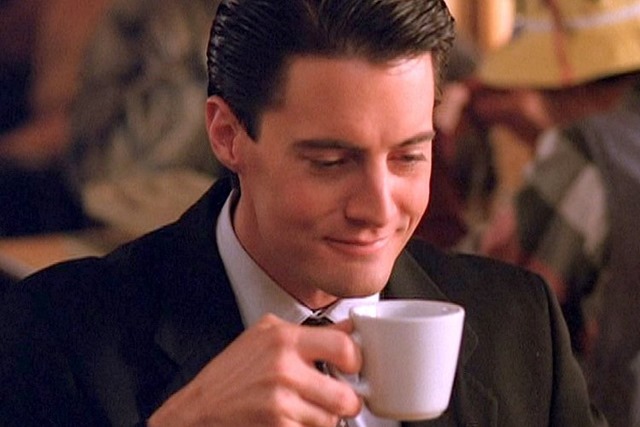 So it baffles me as to why have I never tasted cherry pie until this moment. I have absolutely no idea why. I guess it’s a very American thing. 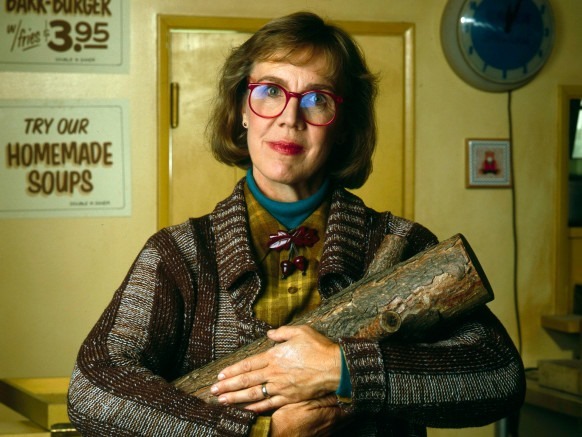 But when my daughter nagged me to make her one, after she’d seen a picture in a book, happy memories of Twin Peaks came flooding back. This pie is sinfully good. 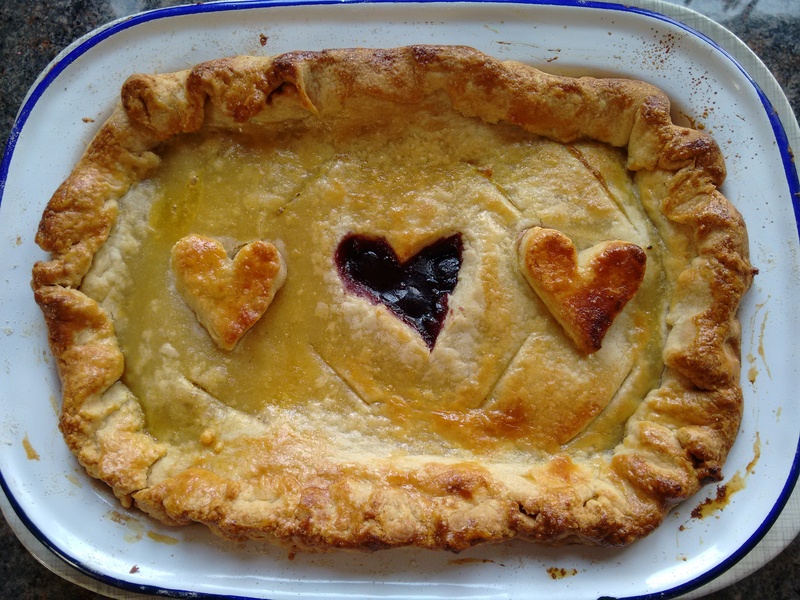 I borrowed elements from Rosie Birkett’s cherry pie recipe featured in the Telegraph, and added a few tweaks of my own. I’ve flavoured the pastry with lemon zest to offset the juicy, inky cherry centre. Excellent served with vanilla ice cream or a spoonful of thick, tangy Greek yoghurt. Taste its dark depths! I’m aware that it’s not cherry season whatsoever, but that doesn’t matter – you need frozen cherries for this pie. No stoning involved, easy peasy. Sainsbury’s sell bags of dark cherries in the frozen section. Job done. Make the pie filling first – defrost the cherries by leaving them out at room temperature or blasting them in the microwave for a few minutes on the defrost setting. Place the the jam, vanilla extract, nutmeg and cornflour mixture in a saucepan and warm through so that they melt together. 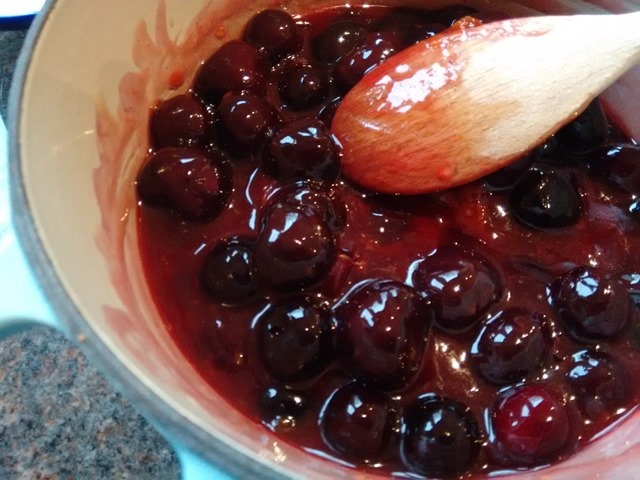 Then add the cherries and stir gently to coat in the mixture. Take the mixture off the heat and let it cool down. 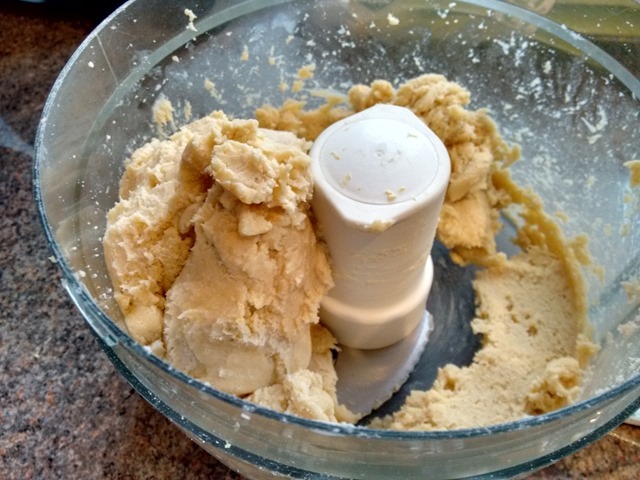 To make the pastry, chuck the flour, almonds, lemon zest, sugar, butter and salt in a food processor and pulse until you get fine breadcrumbs. With the motor still running, add approx 3 tbsps of the beaten egg and then 2 tbsps of fridge-cold water, pulsing until the mixture binds together in a lump. Add a bit more water if you need to, but not too much otherwise the pastry will be gluey. Take it out of the food processor, shape into a ball and wrap in clingfilm. Chill it in the fridge for at least an hour. Preheat your oven to 200C. Take the pastry out of the fridge, chop into two pieces – one slightly bigger than the other. 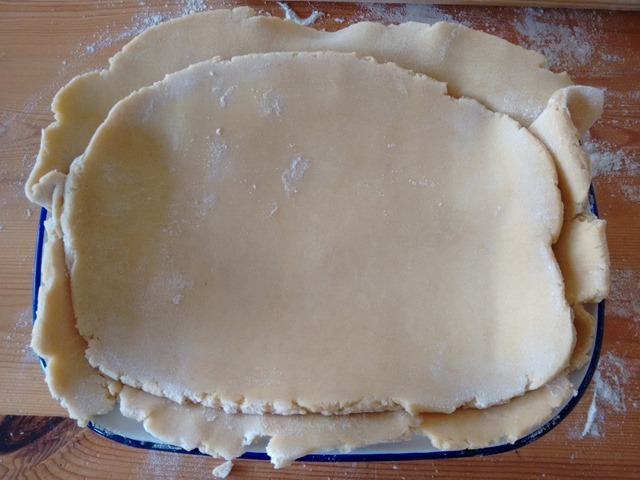 Butter your pie dish, flour your surface, then roll out the larger bit of pastry and fill the base and sides of the pie dish – the pastry should overhang the edges slightly. Prick the base of the pastry with a fork. Then tip in your cherry mixture. 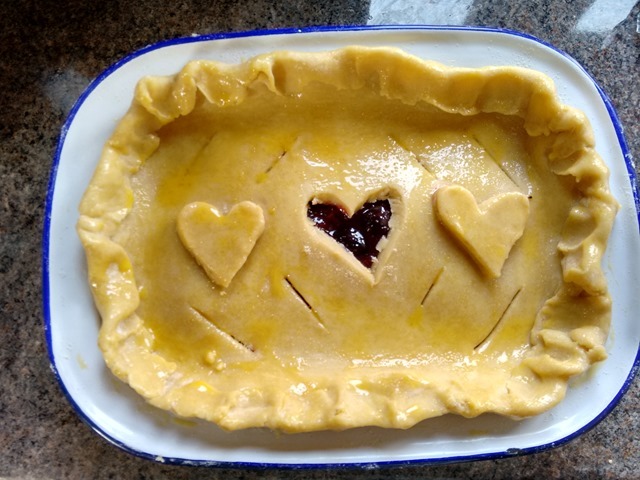 Roll out the second lump of pastry to form the pie top, cut out a shape (eg a heart) with a sharp knife if you want, drape it over the cherry mix and crimp the edges of the bottom layer of pastry together with the top layer, using your fingers. 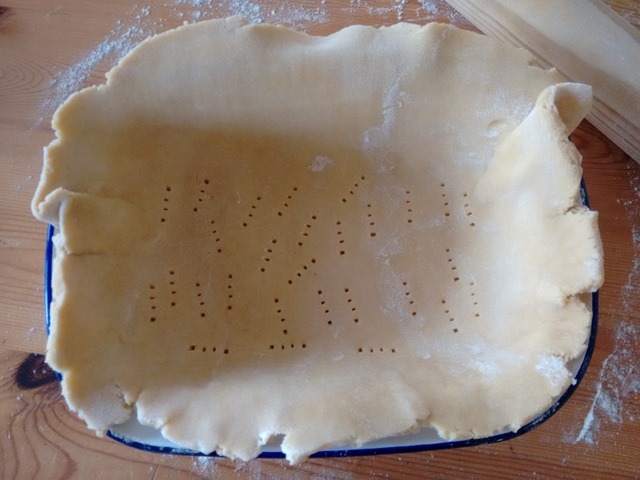 Cut slits in the pastry to let the air escape. Brush the remaining beaten egg over the pastry, then sprinkle over a bit of sugar. Bake for 20 mins at 200C, then turn the oven down to 180C and cover the pie with foil before baking for a further 30 mins – this will prevent the pastry burning. Let the pie cool down for about an hour before you tackle it, it will be like molten lava inside!